Busy as usual in the studio yesterday and made another cushion ready for the Farmer’s Craft Market in Bishop’s Stortford on October the 3rd. 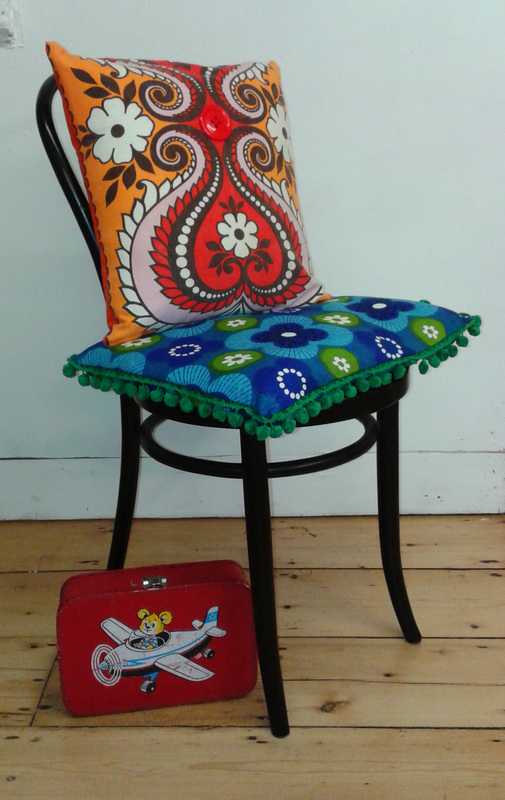 It’s made of part of a vintage tea towel – love the bright orange! One cushion doesn’t seem like a lot! The rest of the day was spent re-arranging my fabric hoard and sorting out a shelf of fabric for sale. I also chatted to people who’d popped in to see me which was lovely! There’s no craft class tomorrow as I’m on a Textile Postcard Workshop at the Warner Textile Archive in Braintree which I’m really looking forward to.